Every autumn the "hot" topic around the club is frost delays. Once we change over to our 'Winter Course', golfers at Tyrifjord are permitted to play on temporary tees and greens under frosty conditions. Until then we close the course under frosty conditions to protect the playing surfaces. As I suit up in my bulletproof vest and riot gear to deal with upset golfers on frosty mornings, I am often confronted by players who wish to debate the facts that we continue to present them with. Plain and simple -TRAFFIC ON FROSTY TURF KILLS. This is not debatable; it's fact! When I became Head Greenkeeper at Tyrifjord, I was given a mandate by the club board to raise the standard of the golf course. Allowing play with frost on the tees and greens is the equivalent of vandalizing our own golf course. 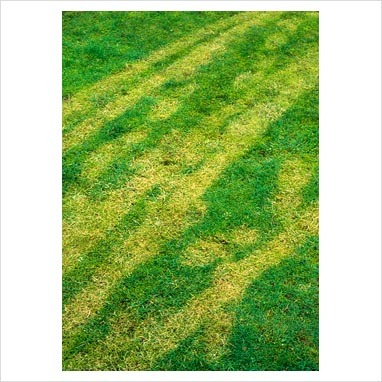 Frost does not discriminate against what turf it develops on, nor does the ensuing damage from traffic on it. 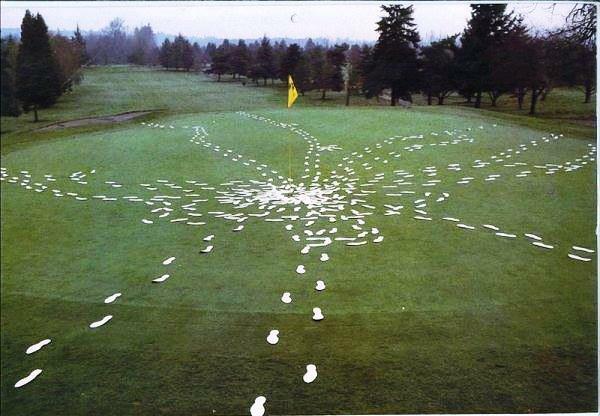 Traffic on frosty turf will ALWAYS result in death whether it's a tee or green. Implementing a Frost Delay Policy to protect the tees and greens is an integral component of ensuring that our everyday turf conditions meet the high expectations of our members and guests. Being in the golf industry for over 20 years has also afforded me the opportunity to develop a broad spectrum of resources from which I can draw from for advice when I run into a situation that I have yet to face. Talking to other industry professionals to hear how they deal with certain situations often results in ideas that may help us improve upon what we are working towards accomplishing. I'm all ears when it comes to tweaking our ideas and methods. With regards to frost, there is something very important that we should understand. When you arrive at the course in the morning, it very well may be frost-free. Quite often frost develops as the sun begins to rise and can continue to develop into a heavier frost even after sunrise as the temperature tends to drop a bit. We do our best to update you with current course conditions as early and often as we can, but don't be surprised if the frost develops on the course while you are already on your way for your morning tee time. Frost typically occurs at temperatures of 4C or lower; it does not have to reach 0C as many believe. Clear skies increase the potential for frost; cloudy skies tend to "insulate" better, resulting in warmer air and surface temperatures. Wind also influences frost development. Windy conditions can prevent cold air from settling in, again resulting in warmer air and surface temperatures. That being said, if the wind temperature is below zero, it can be quite damaging to the turf. There are other factors that determine whether or not frost will develop, but these 3 are the most accurate when it comes to predicting it. Please click on the video above for more information on the damage caused from traffic on frosty turf.